Whats the similarity between Puli and Vedhalam? Home/NEWS/Whats the similarity between Puli and Vedhalam? 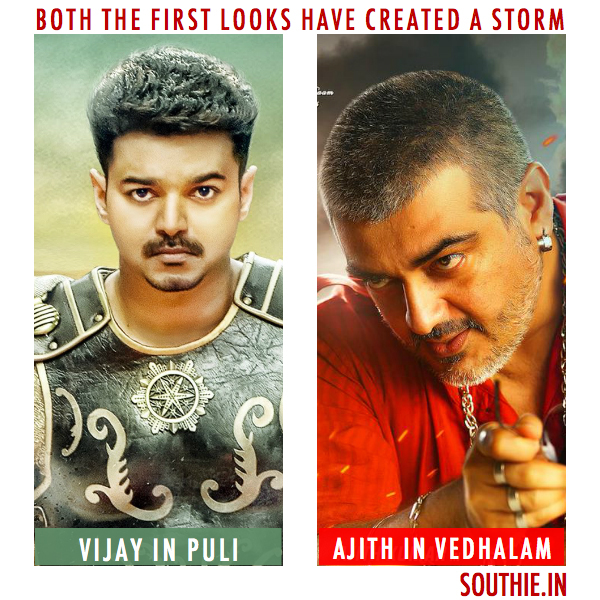 Whats the similarity between Puli and Vedhalam, Apart from being two huge big stars starring in them. The latest we hear about Thambi Ramaiah is that he will play the character of a rich blind man in Ajith’s Vedalam. His combination scenes with Ajith in Veeram are well-remembered for the timing and chemistry they shared. Thambi Ramaiah will also be seen in Vijay’s fantasy flick, Puli that will be releasing on this October 1st.